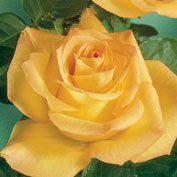 Gold Medal Grandiflora Rose | Gurney's Seed & Nursery Co. Vigorous plant with prolific dark gold buds brushed with orange and deep golden yellow blooms. Emits a rich, fruity fragrance. Grows 5-6 ft. tall. Zones 5-9. No. 1 to 1 1/2 grade. Height: 5 - 6 feet. Color: Shapely dark gold buds brushed with orange and deep golden yellow flowers. Foliage: Long stems are low-thorned with deep green foliage. 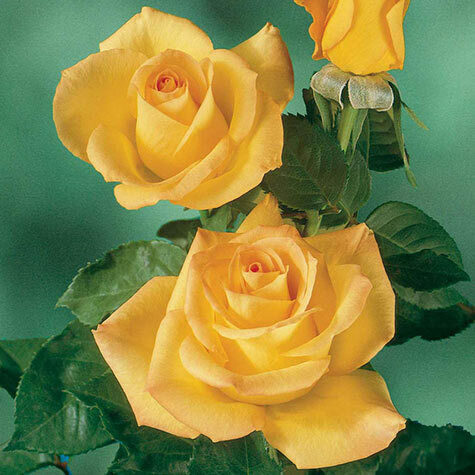 Flower Form: Shapely dark gold buds brushed with orange and deep golden yellow flowers rich with fruity fragrance. Double flowers. Soil Requirements: Medium moisture, slightly acidic, well-drained. 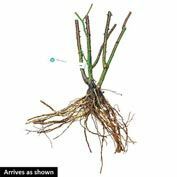 Comments: Vigorous plant gives nearly constant supply of shapely dark gold buds brushed with orange and deep golden yellow flowers rich with fruity fragrance. Deeper color in moderate climates.